NZ horse Gingernuts has officially been retired almost a year after a freak injury at Flemington. 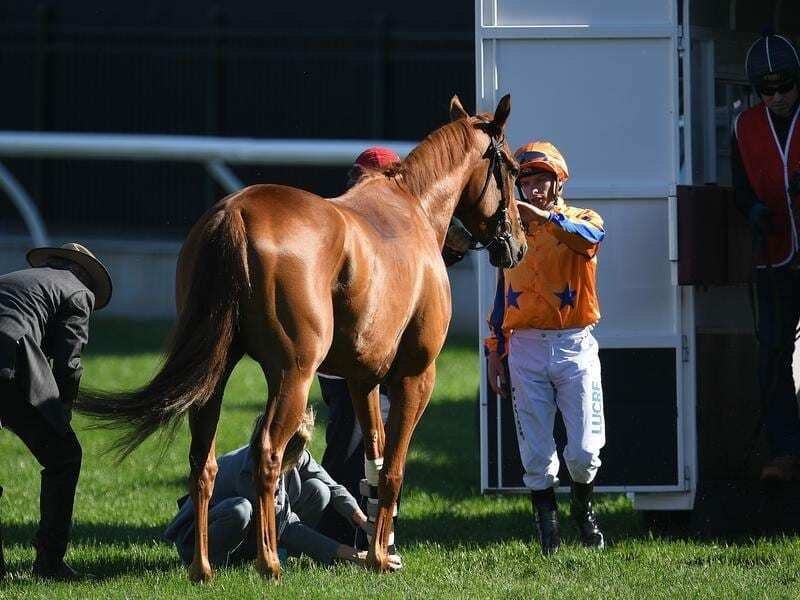 Popular New Zealand racehorse Gingernuts has been retired, almost a year after suffering a life-threatening leg injury as he was going to the barriers for the Emirates Stakes at Flemington. His jockey Michael Dee was walking him to the gates on November 11 when he felt something wrong and immediately jumped off. Gingernuts will live out his days at Te Akau Stud where he has been recovering since February after undergoing surgery in Victoria on a broken pastern. The winner of the 2017 New Zealand Derby, Rosehill Guineas and Windsor Park Plate at Group One level, Gingernuts was officially retired on veterinary advice on Monday. “Gingernuts is undoubtedly the most popular horse we have had at Te Akau,” stud principal David Ellis said. “He captured hearts and imaginations and has a huge following. We were stunned by the outpouring of care and concern when he suffered his life-threatening injury in Melbourne. “It has almost been a year since his injury and during that time, “Jerry” has had the best veterinary care possible. “Three separate specialists have now thoroughly re-examined and again X-rayed him and he is retired. “The bottom line is that the veterinary surgeons advise against racing “Jerry” again. They state that there is a strong possibility that the damage to his injured leg is such, that he would likely favour the injured leg and that is a risk that we are absolutely not prepared to take,. “Gingernuts is such a special horse. We would never compromise his health and well-being being. His owners are also adamant that their boy comes first, so he will now spend the rest of his days as promised at Te Akau Stud.